He directs the Dental and Maxillofacial Radiology programme of the undergraduate BDS curriculum. He completed his specialist training at Guys Hospital and obtained his diploma of Dental Radiology from the Royal College of Radiologists. He served on the Education Committee of the International Association of Oral and Maxillofacial Radiology. He also served as the Dental Tutor for the London Deanery at Barts Health, the Faculty Tutor at the Royal College of surgeons and as president of the Metropolitan Branch of the British Dental Association. He is the founder and the clinical director of the Cone Beam CT Centre. 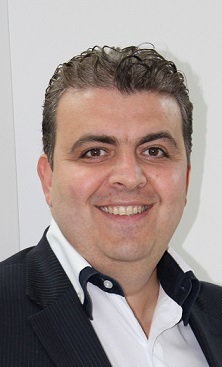 Dr Makdissi better known as Jimmy joined Queen Mary School of Medicine and Dentistry in 2004 as a Clinical Senior Lecturer and Honorary Consultant in Dental and Maxillofacial Radiology. Please log in to reserve your place. You need to register if this is the first time you are visiting our site.